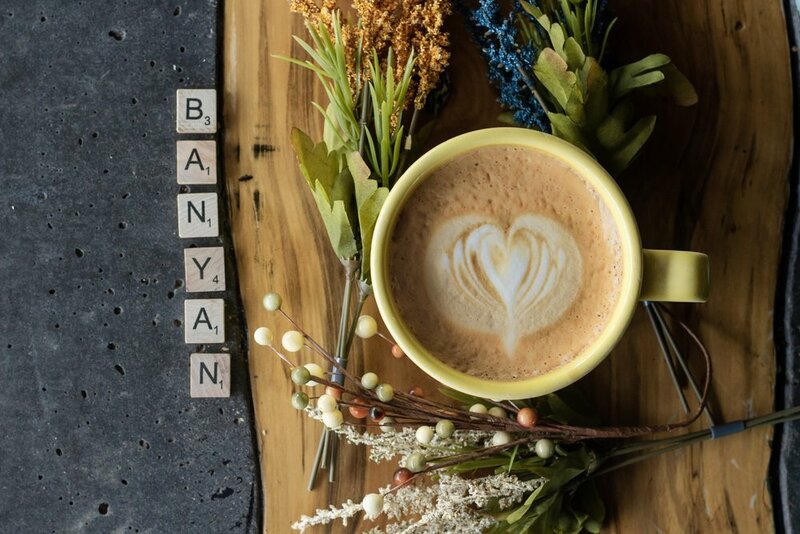 The Banyan Cafe has been in business for many years, but in August 2018 the Nova Family took the ageing cafe over to give it the modern make over it needed. The Nova Family is represent by Hernan Nova, his sons, his wife, and his dogs. We are the same Banyan you have come to know and love with some new amazing staff members and ideas. We have brought in the highest quality specialty coffee from Buddy Brew Coffee. We are serving some of the finest teas in the world from Spirit Tea Company. We are extending hours (soon! ), adding beer and wine (soon! ), and bringing a whole new creative and innovative menu. At Banyan we believe in quality food and quality service. We don’t skimp on either. We provide a relaxing and welcoming environment for business meetings, social outings, private dinners, or just your daily cup of coffee. Come for the quality. stay for the experience. Two eggs scrambled or fried, with queso seco and a choice of hickory smoked bacon or sautéed spinach; served with sriracha & house-made salsa. - Bolt Organic Cold Brew - Orig. All of our tea comes from Spirit Tea Company. They work directly with farmers at origin and source some of the best teas in the world. Proudly serving and brewing Buddy Brew Coffee. All drinks are served with a doubleshot of espresso (2oz). Large (16oz) beverages served with 4x shots of espresso. Served iced or hot. Bolt Organic Cold Brew + Secret Recipe. Made to order! To book us for catering call (727) 710–2019 from 5a – 11p daily, or book online below.